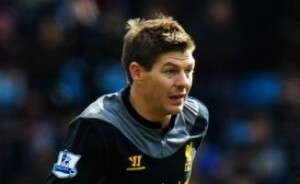 Arsenal legend Thierry Henry has hailed Liverpool captain Steven Gerrard. Gerrard will leave the Reds at the end of the season for LA Galaxy. “He is the dream for any striker. Ask Fernando Torres. Ask Luis Suarez. Ask any striker who has played with him. © Copyright FIESTA FOOTBALL 2010 -2011 | Design by Herdiansyah Hamzah | Published by Borneo Templates | Powered by Blogger.com.